The last Saturday of February 2009, which coincidentally was 28th of the month was a very special day, I really mean it. Yo, I LOVE YOU GUYS for the GREAT SUPPORT YOU ALL RENDER! You are the BEST!!! 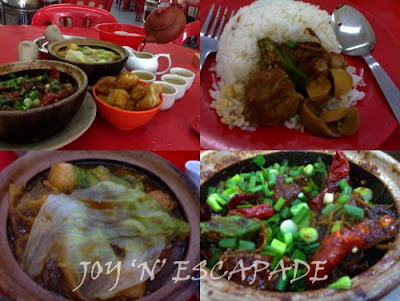 The reason was Bak Kut Teh (BKT) @ Klang, the best place on earth to enjoy BKT! 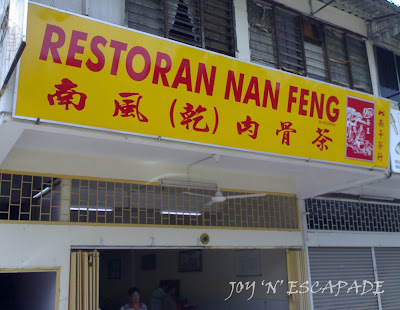 This is Restoran Nan Feng @ Klang. Anyway, I believe all Bak Kut Teh lovers are well aware that BKT comes in two types, dry (with julienned dried squid, dried chillies, and spring onions) and soup (default). I love the default BKT very much, especially Klang's. Remember the after-taste of its delicious and aromatic soup in your palate? One shall never forget the taste of good food. Good food is GOOD! I dare say, no other place on earth serves better BKT than Klang. You think I'm exaggerating? Never mind, I shall hold on to my belief.